Food legend Karen Martini leads an all-female chef lineup at the 2019 Bank of Melbourne World's Longest Lunch on March 8 to help celebrate International Women's Day, the Melbourne Food & Wine Festival announced. More than 1600 diners will attend the event which heralds the start of the Melbourne Food & Wine Festival presented by Bank of Melbourne (8-24 March). In 2019, 500 metres of table will run around the City of Stonnington's charming Victoria Gardens in Prahran. Established in 1885, Victoria Gardens is a gated park with lush, manicured gardens just steps from Prahran's bustling High Street. Food + Wine Victoria CEO Anthea Loucas Bosha said, "Bank of Melbourne World's Longest Lunch is a landmark event on the Festival calendar and we are thrilled that we will be joined by three of Melbourne's most talented female chefs to mark the achievement of women in hospitality on International Women's Day. "Add to this a stunning garden setting in Prahran's Victoria Gardens - the perfect nod to Victoria's heritage as the Garden State - and we have the makings of a very special day." Bank of Melbourne's Chief Executive Michelle Winzer said, "Bank of Melbourne is proud to support the Festival for the eighth year running. We're thrilled to celebrate the women putting Victoria's hospitality industry on the map, and it's fitting that the event opens on International Women's Day next year. We salute the producers, chefs, businesses and restaurateurs powering this important part of our economy." 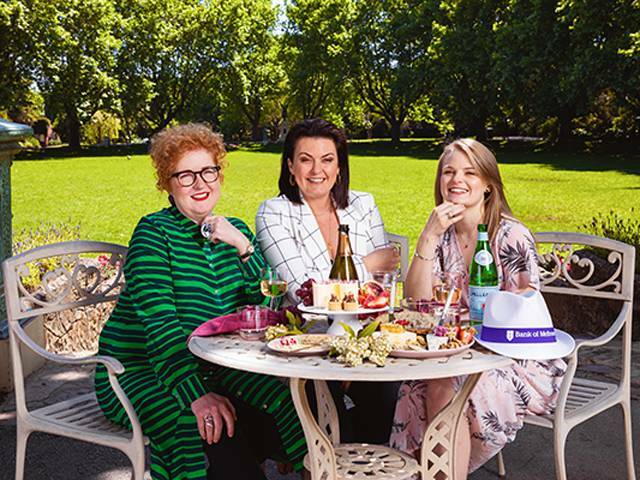 City of Stonnington Mayor, Cr Stefanopoulos said, "We are pleased that our beautifully historic Victoria Gardens in Prahran will host this renowned event in celebration of International Women's Day as part of the Melbourne Food & Wine Festival." Established in the first year of the Melbourne Food & Wine Festival in 1992, World's Longest Lunch is supported by naming rights partner Bank of Melbourne and Victoria's tourism and major events company, Visit Victoria. The 2019 Melbourne Food and Wine Festival presented by Bank of Melbourne will take place from 8 to 24 March. The program will be released on 27 November 2018, when tickets go on sale.